Anyone can play bowls! It is a game for people of all ages, easy to understand and simple to play. No special clothes – come as you are – just make sure you’ve got flat shoes to protect the green. Or play Aussie-style, in bare feet! We probably have the best beer garden in South Bristol. Come down on a sunny evening to see for yourself. Bowls offers gentle exercise and is a great way to relax – after work, at the weekend, on long summer evenings. Greville Smyth Community Bowls Club is a great experience in a beautiful part of South Bristol. 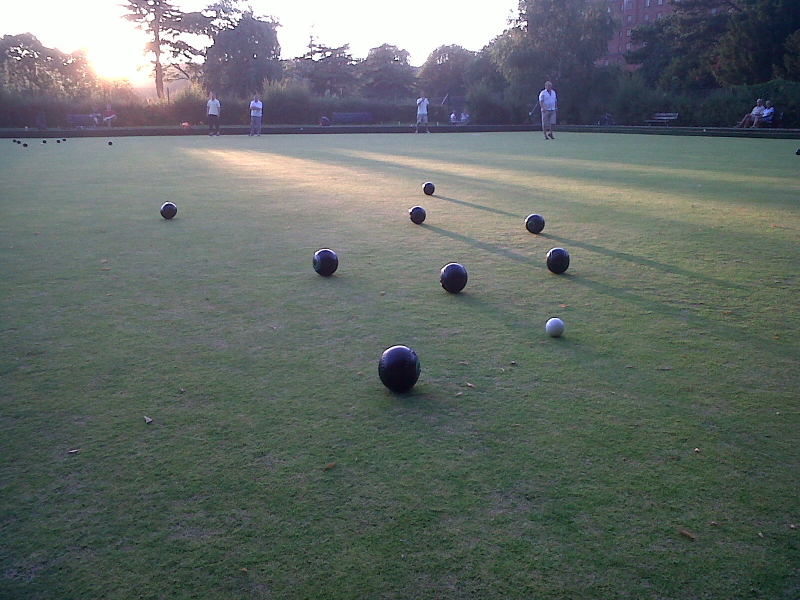 We play on the bowling green in Greville Smyth Park, a short walk from Southville, Hotwells, Harbourside, Clifton, Ashton and Bedminster. The park is one of the best community spaces in Bristol, and the green is maintained to a high standard. Come and join us. Just turn up and play! As a community run club we are open to a variety of uses. Our vision to attract as many people into the game as possible is well reflected in our members: we have a wide range of ages, abilities and backgrounds in our club, who mix well together. You're never too young or too old to play. There's been a bowls club in Greville Smyth for over 100 years. Let's keep it that way.